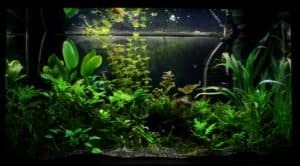 Before revealing the secret of floating plants, Let me ask you, are you an aquarium enthusiast? Let’s assume you’ve got a nice tank, filled with diversified tropical fish. 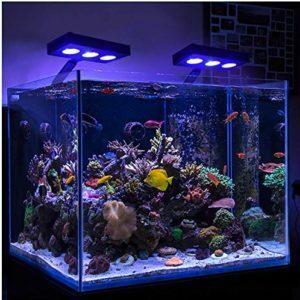 Or maybe, you’re searching for ways to adorn your aquarium with some aesthetic natural substance that will ultimately transform the overall beauty of your aquarium. If you are anywhere in-between that situation, let us assure you, we’ve got an amazing natural substance for your aquarium that is proven to make yours stand out from others. And without further saying, that substance is “Floating Aquarium Plants”. Yes, you certainly have guessed it from the beginning of this article. Now the crucial part is, we’ve designed this guide to not only make you familiar with the best floating plants but also you’ll know all the essential benefits of keeping these plants on your aquarium. So let’s begin. Irresistible Benefits for Keeping Floating plants in your Aquarium! Now, why did we say irresistible? Because the benefits we’re going to reveal is meant to bring you an alluring experience for your overall aquarium. Let’s explore them. Have you ever cherished that your aquarium would look like a small piece of nature? Of course, you did! Otherwise, your passion for keeping an aquarium is still in progress. Now, have you ever wondered why the surface of the lake or river looks so much beautiful? It’s mainly because of those diversified plants that make the surroundings and overall scenario breath-taking for any viewers. You can use floating plants to replicate the beauty of the deep sea in your aquarium & provide your fish with a tempting environment. It’ll not only make your fish look charming while they swim, but also change the overall beauty of your aquarium. Floating Plants can be helpful to generate oxygen into your aquarium. Alike general plants that grow outside water, they can also provide your aquarium with a sophisticated air circulation system which is truly essential to keep your aquarium free from any sort of toxic materials. On the other hand, as the plants regulate oxygen, it allows your fish and other inhabitants to breathe more conveniently and helps them to prevent breathing any toxic and other harmful materials. The floating plants can also act as a filter to absorb nitrate from your fish tank. You may already know that fish wastes produces ammonia which is highly toxic. To remove this ammonia we use aquarium filter which accommodates beneficial bacteria that breaks down the ammonia into nitrite and then nitrate. Nitrate is far less toxic, yet we need to regulate the level of nitrate to ensure a healthy environment. Floating plants absorbs nitrate. Here comes the exciting part. These floating plants work as a shelter and make a hiding place for your fish. As your fish loves to move back and forth and sometimes hide their appearance, these plants can help your fish to bring them the perfect environment. 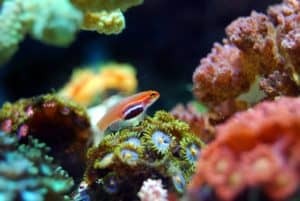 Apart from that, those shades will create a sea like darker environment on your aquarium and eventually cause your fish to reveal their inner beauty in terms of color and size. But another fact to keep in mind is, as the plants need light to grow naturally, make sure at least you’ve made some areas open where the light can access. 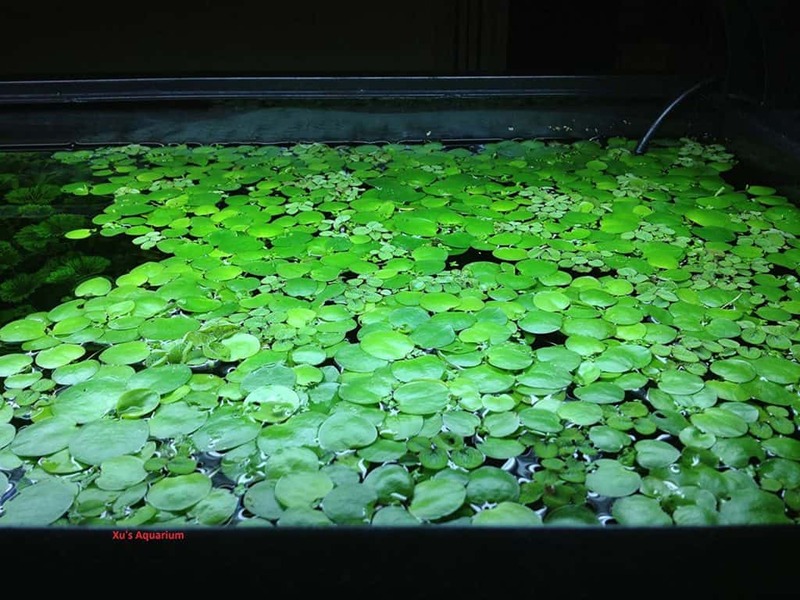 Or use LED lights that are good for the growth of aquatic plants. 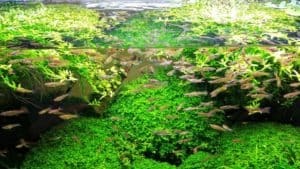 If you are tired of changing the water of your aquarium more often because they generate an excessive amount of nitrate, you can use floating plants to reduce that frequency. These plants consume the toxic element from water as their nutrients and efficiently make your aquarium waste-free for longer. Besides, it also keeps the chemistry of your water to stay stable for longer and creates an alternate water filtration system which eventually reduces the frequency of changing water. The floating plants can also act as an essential supplement for your fish diet. It can work as a veggie snack for your fish. Sometimes if you forget to give food to your fish on time, these plants can effectively prevent them to stay unfed. Algae grows on the surface of the plants and some fishes and shrimps consume that algae as their primary food source. The best part, the overall maintenance of these plants is so much easy that you cannot resist yourself to have them in your aquarium. Besides, they also grow faster than the other plants and need fewer nutrients that already exist in the aquarium. You just have to make sure there is enough light going through the plants so that their growing process doesn’t hamper. And, just perform an occasional trimming for overgrown plants which doesn’t take much effort. They can grow over a whole lake within weeks and make a surface layer for the lake. You can also use them in your aquarium to make a layer on the top. And, they will eventually bring in a dark natural scenario inside your aquarium and work as a diet for some of your fishes. They don’t require much maintenance and grows automatically. We recommend you to use them in aquariums under 100 liters of water. Cabomba Caroliniana can be a great choice if you want a natural and amazing background for your aquarium as they are densely-packed with. 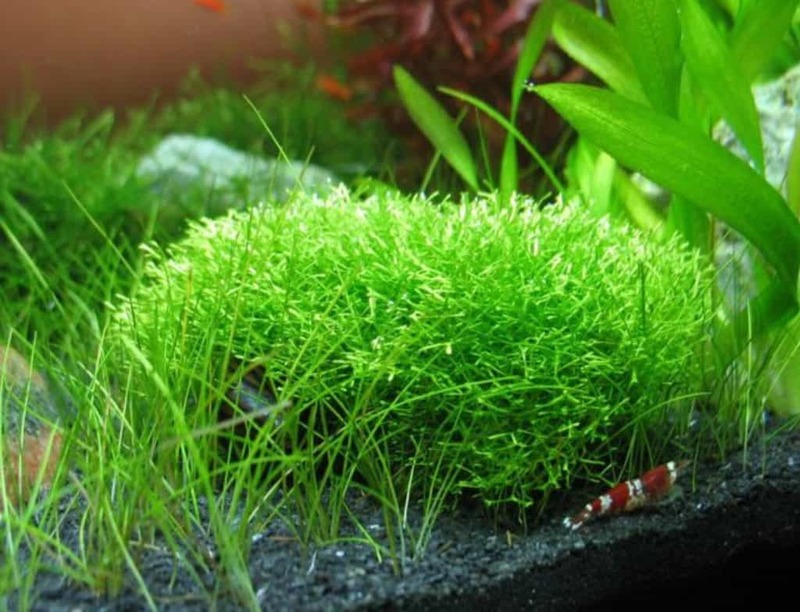 If you are an owner of fry and shrimp, this plant will be a great choice for you. It also allows your small fish to hide themselves in-between the plants and explore around. Cabomba is not a true floating plant and grow best in substrate. But it takes nutrition from water column and as a result can grow and thrive in floating condition as well. You can plant or left them to float by themselves. Its pale green leaves will create an amazing look inside your aquarium. You can find them as a large and small plant. It is recommended that you have 5 or more liters of water in your aquarium. 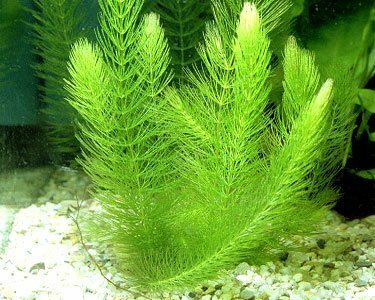 This plant is very popular among most aquarium enthusiastic persons because of their length. They are usually green and round shaped. They also have broad branching roots and large rosettes. Amazon Frogbit’s scientific name is Limnobium Laevigatum. They form a strong shade on the surface of your aquarium and make a darker environment just like the Amazon River. Although they block a considerable amount of light, some of your fish will find them exciting and use them as an umbrella by hiding below. Frogbit is an excellent shelter for fish fry and shrimps. The scientific name is Ceratophyllum Demersum. Hornwort plants can be a wonderful choice for your aquarium. You can both root them on the ground or leave them to float by themselves. They also help to oxygenate your water as well as balance your micro-ecosystem. 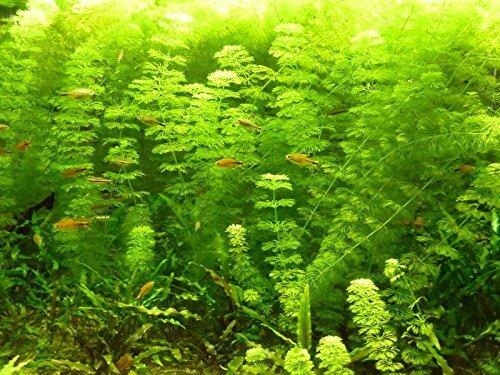 Hornwort is one of the easiest freshwater plants and very much beginner friendly. Beautiful aquascapes can be created using hornwort. Like Cabomba it is not a true floating plant but can be used as a floating plant without any difficulties. The exciting part is they can survive in any range of water. Once you plant them, they can grow as high as 6 foot longer. Their color is dark-green and also comes in densely-packed form. Besides, they also oxygenate your water and remove any toxic substance. Alike Amazon Frogbits, they also have long roots and large rosettes. They look like charming water lilies and float on top of the water. Their rosettes usually stay on the bigger side which means they will grow more attractively if you have a large aquarium or preferably a pond. The leaves may grow up to 14 cm long. In addition, these water lettuces also work as a bio-filter that removes harmful and toxic substances from your aquarium. It also controls the growth of algae by absorbing their fueling nutrients. 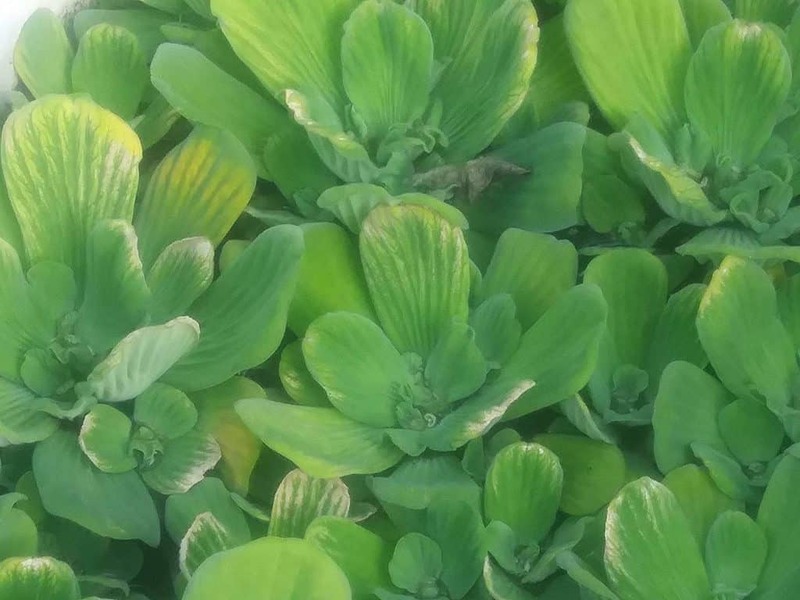 But you need to control the spreading of water lettuce as they grow massively and may block the gas exchange at the air-water interface and even block light for the species inside the tank or pond. The water spangles are another great plant for providing shade on your aquarium. They also require minimal maintenance and have the ability to survive in any water condition. 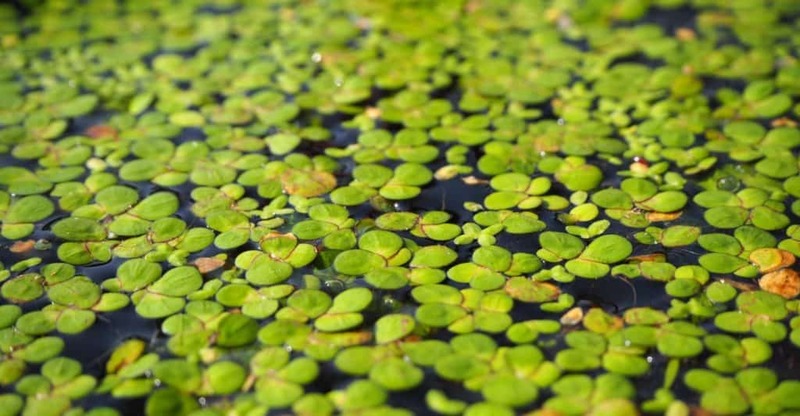 Also known as salvinia minima, they have small oval shaped leaves. The leaves grow in a set of three, with two leaves floating on the surface and one hanging underneath. If you have betta fish in your collection, water spangles can be a good option for your betta tank. They also allow your fish to hide inside the plants while avoiding sunlight. They can be great food for your omnivores and herbivores. 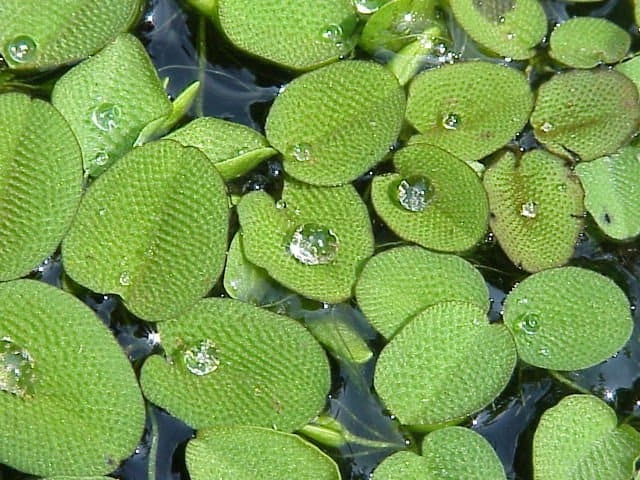 Salvinia minima propagates through fragmentation. They can grow in brackish water also. So, if you are planning for a brackish water tank then it could be an excellent choice to decorate your aquarium. Regarded as one of the most beautiful and popular plants for any aquarium. They also have the ability to grow faster. They are kind of fluffy plants. You are advised to grasp them with something so that it may not grow across the full aquarium. They also act as a hiding place and secure shelter for your younger fish as they might not go to the stomach of your bigger ones. They don’t need any special maintenance and will definitely beautify the overall background of your aquarium. Java moss is really important if you are keeping shrimps. They provide hiding space and food for shrimplets. You need to look after the temperature of your aquarium as java moss doesn’t do well in higher temperature. 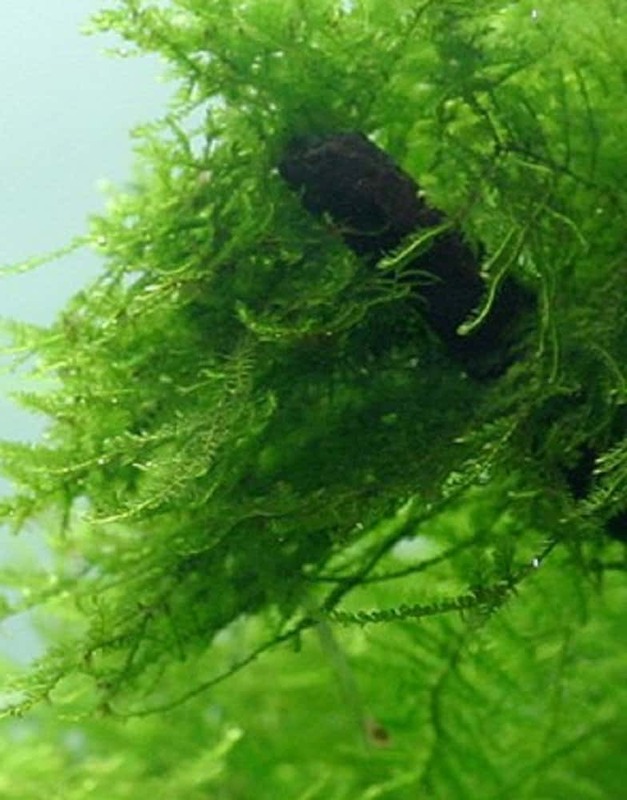 Floating Mosses are used as a decorative plant in both indoor and outdoor aquariums. They quite look like the green jellyfishes of the ocean. Your little fish will also find it as a place for hiding and relax. They do require a little maintenance and even comes in artificial forms. If you got less time to maintain your plants, they could be a great option for your aquarium. The Normal Salvinia can grow super-fast on the surface of your aquarium. They usually grow in branches and you can leave them on the top of your fish tank. They will cover the area exponentially. 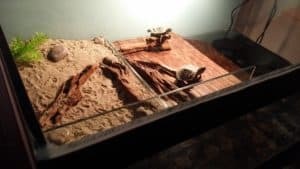 Apart from that, they look very attractive on the surface while creating shade on the top which eventually brings a darker environment for your aquarium. If you want a bright and yellow bloom to flow inside your aquarium, the Floating Bladderwort is ready to bring that change. It usually floats in groups on the surface of your fish tank. 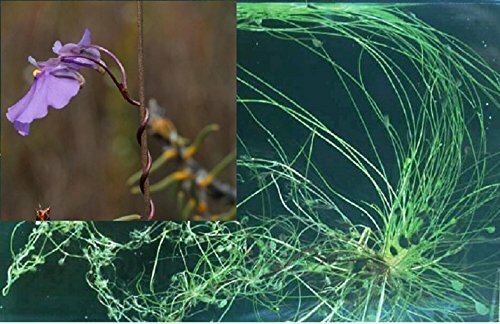 Now, why they are called Bladderwort? Well, their submerged area has an array of traps that forms like a bladder. If you have any microorganisms in your fish tank, chances are they will destroy them all without doing any harm to your fish. Riccia Fluitans can be a unique plant for your aquarium as they don’t have any leaves or roots. They stay on the bottom of your aquarium and create an amazing scenario of the ground. If your aquarium has enough light to come in, Riccia Fluitans can be a great choice for you. Now, you’ve come to the final part of this guide. If you have gone through the details and features of all the best plants we’ve discussed in this guide, you probably have extrapolated the idea that, it almost requires a little or no maintenance for them to grow. There are some plants that need a little amount of light for their natural growth. Otherwise, you can modify its access by removing some layering substance from the surface. Besides, there are a handful of plants that grow faster than the others. You just have to trim or reduce them in number to keep an overall balance between all the creatures & substances of your aquarium. To sum up, our objective of this guide was to show you all the amazing benefits of keeping floating plants on your aquarium while making you familiar with some of the best floating plants available on the market. 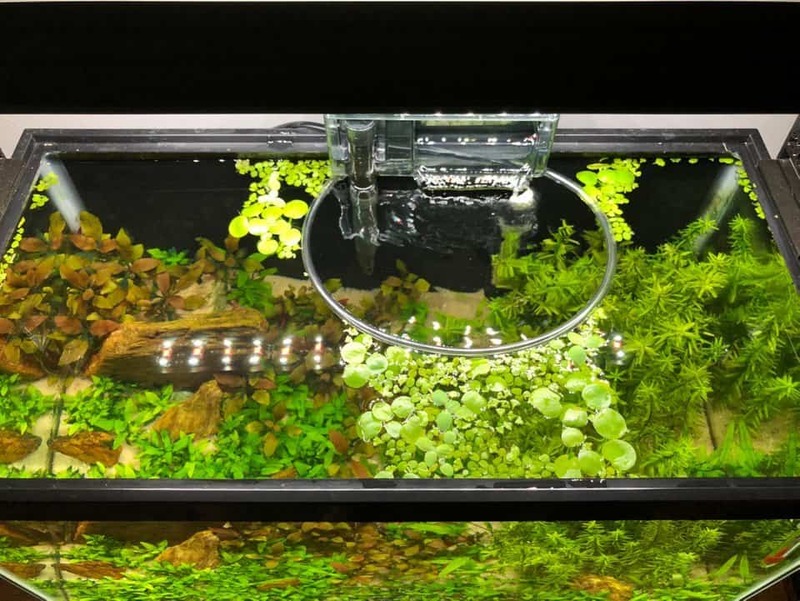 We believe our guide has helped you to have an extensive idea about diversified floating plants that are meant to bring in an amazing look for your overall aquarium. Thanks for reading the whole post, stay tuned with us for more amazing info-guides like this. We appreciate your presence.